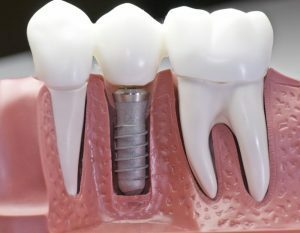 Home / Posts Tagged "affordable dental implants in Melbourne"
Why A Dentist May Suggest Bone Graft Before Dental Implants? Missing teeth can make eating and speaking challenging and affects your confidence as well. If you are missing one or more teeth, dental implants are an ideal solution. However, in order to qualify for the treatment, you must have sufficient jawbone to support the implant posts. Yes, a strong jaw bone and a healthy lifestyle are the two essential things that are required for long-lasting dental implants. Unfortunately, the bone recession is the side effect of tooth loss, and this is why you should replace your missing teeth as early as possible. When you ignore missing teeth, it may lead to loss of jawbone that eventually increase the cost of dental implants in Melbourne by requiring additional procedure like bone graft. To encourage new bone growth and supplement existing bone, your dentist may suggest bone grafting for dental implants. Gone are the days when there were only dentures and bridges for replacing a missing tooth. However, neither of the options is ideal. For bridges, the dentist will reshape adjacent healthy teeth which can affect their structural integrity. A removable denture provides different kinds of challenges like maintenance, slips while eating and speaking, and looks unsightly. Today in dentistry, dental implants are considered to be as the gold standard for tooth replacement. As the affordable dental implants in Melbourne are inserted into the jawbone they create a strong foundation for holding bridges, dental crowns, and dentures. Plus, the functional and aesthetic benefits that come with replacing missing teeth, tooth implants preserves jawbone and keep them healthy. Even though restorations are placed in the future, dental implants are designed to provide lifetime support. When is bone graft recommended? The dentist or oral surgeon will recommend a bone graft after tooth loss. When your smile is healthy, the roots of the teeth stimulate the jawbone. Without natural stimulation, the bone begins to shrink. Bone recession results in more widespread tooth loss and changes your facial structure. Do not worry if you do not have enough jawbones for getting dental implants. Yes, thanks to bone grafting! Healthy patients will qualify for dental implants after bone grafting treatment. Bone graft is performed in preparation for dental implant surgery. This additional procedure price also affects the overall dental implants cost in Melbourne. If you suffer bone loss, there are higher chances of implant failure. By construing the diminished area of your jaw, you can increase the likelihood of successful treatment. Bone grafting is a common procedure performed by administering anaesthesia. You can also choose sedation options like nitrous oxide, oral sedation, and IV to help you relax and all are safe and reliable choices. It will usually take six to nine months for your jaw to heal completely. Later on, you will receive affordable dental implants in Melbourne. Bone grafting helps patients to receive dental implants and make them last longer. So, if your dentist suggests bone grafting, do not ignore.